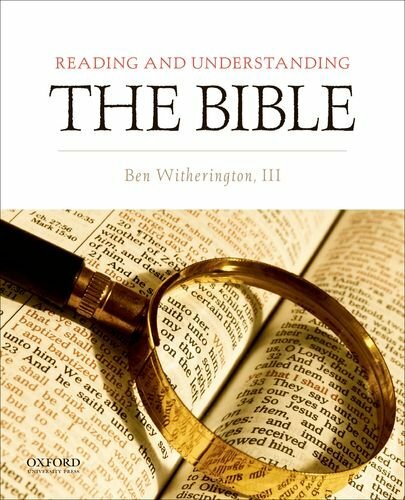 With his usual verve and reader-friendly style, Ben Witherington III brings us a fresh and distinctive guide to interpreting the Bible. Reading and Understanding the Bible provides something that no similar textbook does—it works carefully through all the different genres of literature in the Bible and explains how to interpret each within its proper context. Reading and Understanding the Bible deals with the social and literary character of the Bible, teaching students how to read the Bible with eyes open to the differences between the modern world and ancient biblical cultures. It explains how ancient societies worked, how documents were created, who preserved them and why, the patriarchal nature of all ancient cultures, and, most importantly, how these cultural characteristics ought to affect our reading of the Bible. In the second half of the book, Witherington illustrates the hermeneutical rules usually applied to the Bible with core samples of contextual interpretation. Reading and Understanding the Bible provides a wealth of information in an engaging style, with helpful pictures, charts, and maps to keep the visual learner on task. The book is ideal for courses on Biblical Interpretation, Introduction to the Bible, and Hermeneutics.